An educational student could be begin a research paper: Social Studies lesson plans generally can be organized using regions of the United States. There are a variety of ways to teach by region that can include several areas of teaching, such as history, geography, economics, political science, sociology, and anthropology. The Internet offers several lesson plans that can combine the regional areas. One of the best ways to inspire learning in the arena of social studies is to have fun while being informative. Teaching by regions help the students to be able to learn faster and easier by breaking down different areas of the United States and promoting learning through a variety of methods. Discuss the fact that regions are human constructions that do not have clearly-defined boundaries. Have the students explain how the creation of regions can help us to organize and understand the country’s physical geography and can also contribute to stereotypes. Students can orally discuss different regional areas. Use newspapers or magazines to discuss more information concerning the regions. Look on the Internet to find information on the history, economics, sociology and anthropology. Choose one group of students to redraw different regional states based upon the collective learnings of the activity. Another interesting activity that can be incorporated into the social studies lesson plan is to have the students travel on an imaginary trip of various regions of the United States. Have each team develop an itinerary for the trip. The class must raise money for the trip, Math. The class needs to know what the history of their region is so they will need to go to the library. If they want to live in their region, they will need to know the types of employment available (economics)? Who are the elected officials of the area? (political science). The students will need to draw various maps to outline the types of employment, economics, places, resources and environment. The students should know about the culture of the area. Students working together as they draw, use the Internet, and write essays will combine the learning skills by touch, site, and hearing. Students will learn how to gather and organize information. They will evaluate the information they learn and use this to write an essay. Social studies lesson plans should remember that social studies provides the opportunity for the students to have fun and learn. Games can be developed to enhance the learning experience. A store could be created and put various resources in the store from different areas. The students can be allowed to buy items from the store. Each region will have various items from its region. A couple of schools in Oklahoma created their stores and enjoyed the buying and selling. They stated they learned more by doing this. One way to add to the fun of learning in regional areas is to seek various pen pals. The students can e-mail their pen pals and ask about their regions. The information can be shared about their own region as well. Teaching social studies by regions help the students to learn faster and easier than if they had to take one state at a time. There are various ways to teach the students about the region by Maps, puzzles, stories, and games can be created to discuss various regions. 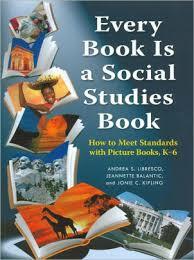 Social Studies Lesson Plan is a broad Social Studies Lesson Plan and very difficult to narrow. However, we suggest you start by discussing pitfalls to a lesson plan, and also how the lesson should be created with a lesson plan template. Develop a lesson for a class preschool class of four-year-old children designed to foster enjoyment and understanding of social studies and/or to develop some particular social studies concept. Use the template below. Limit your focus. Do not try to do everything possible in a single lesson. Pay attention to the time. Children’s attention spans are short. Choose do-able experiences. If it’s too difficult or too costly, don’t do it! Materials Required: List all materials you will require during the lesson. A warm up activity which can be used to determine what students already know, to generate interest and/or to establish an atmosphere for teamwork. Review session that reinforces the major points of the lesson Assessment: Identify the assessment tool(s) you will use to determine if the lesson achieved its stated goal. Paper Masters writes custom research papers on Social Studies Lesson Plan and discuss pitfalls to a lesson plan, and also how the lesson should be created with a lesson plan template.